We offer a wide selection of contact lenses including disposable soft contact, bifocal/multifocal, toric, and colored lenses. Whether you wear daily, weekly or monthly disposables, or conventional (vial) lenses. 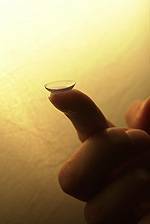 We sell soft contact lenses, Multifocal lenses, MiSight lenses, and recommended Dailies.